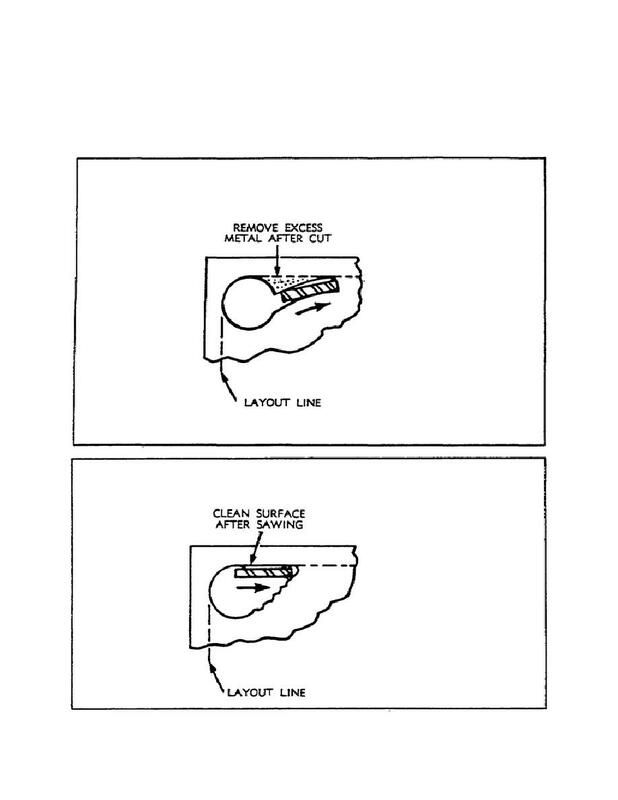 Home > Ordnance Documents and other related manuals > > Figure 20. Sawing Away from the Hole- Method 1. Figure 22. Sawing Toward the Hole - First Cut. starting the cut along the layout line (figure 21). SAWING AWAY FROM THE HOLE - METHOD 1. SAWING AWAY FROM THE HOLE - METHOD 2.